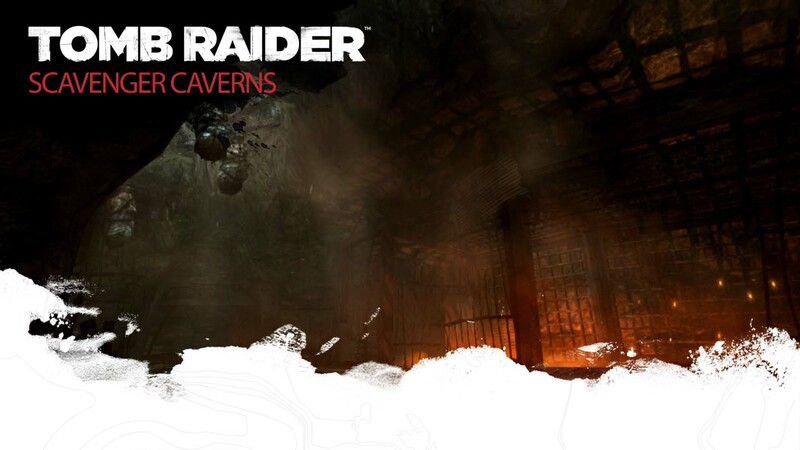 Square Enix announced today that they are releasing three new multiplayer maps for Tomb Raider called Caves and Cliffs Multiplayer Map Pack on March 19, 2013. This DLC will first launch exclusively for the Microsoft Xbox 360 console with the PlayStation 3 and PC releases to follow later. The Tomb Raider: Caves and Cliffs Multiplayer Map Pack opens up more of the island’s geographical location to players. All three maps are playable in all four multiplayer game modes and pits the island’s Scavengers against the shipwrecked crew members from the Endurance. An extensive subterranean network of caves used by the island’s scavengers as an underground prison. This scavenger settlement was built high up on the island cliffs. Its many layers hide some of the deadliest traps on the island. A raging fire has embraced an abandoned Japanese village, the burning buildings offer multiple ways to escape or engage your enemies.